Pricing of e-books is a constant source of discussion online, and we’ve seen the rebellions in the Kindle store when publishers were allowed to start setting their own prices last year. Some books went up in price, as traditional publishers tried to bring e-book pricing more in line with print book pricing. On the other hand, readers keep looking at the lack of reproduction costs in e-books and often moved to lower-priced alternatives. The ease of changing prices on your Kindle books, combined with the ease of tracking your sales on a daily basis. To get an idea of where pricing is today, I went over to the Kindle store to have a look around. The average price of these e-books is $10.40. None of these e-books is self-published, by the way. The average price of these books is $6.31. This means that the average fiction e-book that’s in the top 10 in the Kindle store is retailing for a full 40% less than the average top-10 nonfiction e-book. That’s a huge hunk of change. Does this mean it’s better to be a nonfiction author, if making money is your aim? Yes, it does. Self-publishing has traditionally worked best for nonfiction authors with solid information-based books. There is no disputing that a new world of bookselling is upon us, and all the old rules will be scrapped or at least reexamined in the light of new realities. Are we seeing a rebirth in fiction reading, arising from the easy availability of inexpensive novels? From anecdotal evidence, it seems so, and that is certainly a good thing. I think there’s no formula that will help you set your prices. If you’re a novelist, by all means keep track of the experiments of authors like JA Konrath and Zoe Winters and Joanna Penn, you’ll learn a lot. But this seems to be an area where you have to be willing to experiment to find the right spot for your books. Many novelists have reported selling more and more copies as they gradually lowered their price, to the point that giving up the 70% royalty, when you go below $2.99, just didn’t matter as much as the volume of sales rose. As Konrath says about his title The List, when he lowered the price from $2.99 to $0.99, he sold 20 times as many books. I pay far more money for non-fiction books that will help me in a tangible manner than I will for fiction which I read once and then (often) forget. It’s not that I don’t value fiction writing, but the price you pay for entertainment has to be representative vs the price you pay for actionable content. The answer? Since we are all, in a sense, direct marketers now, we should take a lesson from the direct marketing world: test everything, track the results, adjust your pricing if necessary, and test again. You will become an expert on your own book’s pricing, and this experience will be invaluable as you continue to bring more books to market. I took this all into account when setting the price of A Self-Publisher’s Companion in the Kindle store at $8.99. Is it the right price? I’m not sure, since the book has been out just a few weeks. Will I experiment with the price? You bet I will, just like all you other direct marketers. What have your experiences with e-book pricing taught you? I was never into selling my novels for $0.99, because I think it’s important to value your own work. And it works for me, I make a lot more money than before. Joel, thank you for this exceedingly informative article. I’m in the middle of writing a non-fiction ebook, that is not only a self-help but will also contain a lot of how-to information in relation to the topic. And, as a newbie writer, but with a lot of years behind me in my niche subject, I was worried I was going to over-charge, now after reading this I think I may have been undervaluing myself….Thank you! In today’s market I read a lot about individuals’ appraisals coming in 20K-50K below what the offer was. next customer. Kobo comes with 1 GB storage, capable of storing up to 1,000 books. Thanks for the insight, Joel. Good Point on the fiction vs. non-fiction. I, too, am willing to pay more for non-fiction books which present practical help with actionable content. More justifiable than entertainment (luxury) expense, I suppose. For my book, “Zen of Hoarding”, I started with a pre-order price of $8.99 and it was pretty successful (considering it was not available for immediate download). Then, I offered it for $6.99 if ordered on the book’s official website. Again, about the same level of success, so I figured there was not that much price sensitivity. Also, it does pretty well at Amazon.com for $8.99. This week, I am offering it for $2.99 on Amazon.com to see how much price really matters. We will see. I am about to publish my book, The Truth About Food on Kindle in the next week or so. The book was first published in paper back about 8 years ago, the title was then purloined and another author brought out a book of the same name to accompany the BBC television series about 3 years later. My book went out of print but is the original book with that title. The latter book is not on kindle, so I hope there is no confusion – I will be pricing it at 99c and hope for the best. Thanks. Great information for a new author trying to figure out the best way to get a first book published. Its like you learn my thoughts! You appear to understand so much about this, such as you wrote the e-book in it or something. I think that you could do with a few p.c. to pressure the message house a little bit, but instead of that, this is wonderful blog. An excellent read. I will definitely be back. Great info. I’m wondering about the rankings for the Amazon list. Amazon has best sellers lists for both paid and free kindle books (http://www.amazon.com/gp/help/customer/display.html?nodeId=525376). However, would a book with a list price of say $4.99, but on sale with a discount that brings the price to $0 be ranked on the “paid” list or the “free” list? might not be all too useful in today’s world. i can find absolutely no data for that claim. if it’s true for you, it would be remarkable. I started publishing non-fiction e-books in 2004 through Ingram and moved prices up and down. These are recycled trade magazines articles so I never expected big sales, but I sell as many copies at $4.95 as I do at 99 cents. Lowering the price only costs me money. Fiction seems to sell better at $2,99 than it does at 99 cents and with “The Shenandoah Spy” and “Marlowe:An Elizabethan Tragedy I am at $9.99 because I have print editions at a much higher price and I want to protect that price. I’d like to see more fiction sales for my short stories but with people selling novels at that price, well it becomes a contest between quantity and quality and resisting the race to the bottom. That choice is more about gaining market share than maintaining margins. I buy formatting and covers from third parties so my costs are higher than average. Francis, thanks for the interesting feedback. I’ve run across other people selling articles and short pieces on Kindle and I think there’s a huge potential market there. Good luck with your fiction. Quote: “I pay far more money for non-fiction books that will help me in a tangible manner than I will for fiction which I read once and then (often) forget.” > Yes, it’s all about ROI (return on investment) and most consumers will consider their ROI. Hi Joel I’ve been a bit behind in my blogging and hope I’m not too late to take avantage of this important discussion. So one major expectation I have is that it will take a long time to build up a base. My main target for book 1 is to keep losses to a minimum, as I work on finding a home for my voice. I plan to release one book a year, because my writing persona is more tortoise than hare; my next book is planned for January 2012. In your experience, what price should I go for? I thought of 0.99 for the 6 weeks of my launch promotion competition, and then raising it to $2.99 and keeping it steady. But, from what was said above, is it better to price it a 0.99 and bite the bullet on the loss of royalties in favour of trying to build a bigger fan base for future books? > and then raising it to $2.99 and keeping it steady. > favour of trying to build a bigger fan base for future books? 1. flip a coin to decide between $.99 and $2.99. 2. leave the book at that price for 3 months. 3. see how much money you made at that price. 4. change the price to the other level. 5. leave the book at that price for 3 months. 6. see how much money you made at that price. 7. adopt the price that made you the most money. p.s. at neither price will there be “a loss of royalties”. the “royalty” on a book that doesn’t sell is exactly 0%. Bowerbird: Thanks for your suggestion, much appreciated! As making money is not my primary aim for this book, perhaps I’ll just go for the 0,99 pricing and focus on building up a readership. Judy, I hope you’ll find time to report back on your results, I’m sure readers would be interested. Joel, once I’ve collected enough data for useful stats, I will indeed report back. just might decide then to delist your book entirely. so you need to understand there is a risk involved. because nobody takes a loss when selling an e-book. it’s all pure profit, and it’s good to keep that in mind. so all other things equal, $.99 is just the right price. on the flip side, nobody makes any money off _free_. do it the right way, by getting a library to buy them. Thanks for the reminder, I’ll adjust my strategy. Incidentally amazon is now offering my book for .99, to match the new price at B&N, with a 4.00 discount. But as you say, this is probably too risky and may not be worth it. E-books are not pure profit if you pay third parties for cover art and formatting, which we do in some cases. Amazon has little concern for the final product, so this is necessary if you don’t have those skill sets. Ease of use is always an issue and so is readability. Re the comment that Amazon still pay the list pricein spite of discounting.Is not this on the 35% Royalty and if royalty is set at 70%, Amazon pay 70% of what they sell it as? Quite a consideration. Good point, Rosalie, all prices being quoted are the selling price, which is set by the retailer. 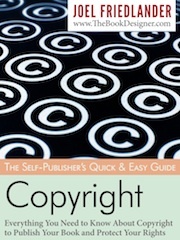 Royalties are deducted from the retail price, which is set by the publisher. I priced my non-fiction on kindle at 4.99, but then priced it at 2.99 at pubit and let amazon know via the “found a lower price elsewhere”. This made amazon automatically discount the kindle version to 2.99 (while still paying me for the list price of 4.99). Now I’ve dropped the pubit price to .99 to see if amazon will go even lower. I have ebooks priced at lots of different price points, but 99 cents really is a “sweet spot” if you want to get your name or product to take off. It stings, at first, to price a book at 99 cents, but I’ve seen sales of one title go from 20 per month to 300 per month once I dropped the price to 99 cents– that’s an astounding increase. I see it like the cost of advertising, because that’s what it really is. Christy, I think the authors with the forethought to put out a “loss leader” at $0.99 to build their base are using a pretty smart strategy. And most of the people having success with fiction seem to be multi-title authors who can afford to have some books at the lowest price (or free). I’m just starting a new blog on mysteries and more. I have a Nook. When I went to download a recent mystery from a leading author, I found that the hardcover was actually a few cents LESS than the downloadable book through Nook. So I began some research similar to yours. I’m going to publish it on my blog, and I’m delighted to find you’ve had similar experience with Kindle. I will quote and credit from your blog, if you will give me permission. I’ll appreciate your response, please. Sure, Marcia, go ahead and quote with a link back, I’ll be interested to read your post. > What have your experiences with e-book pricing taught you? at least in terms of fiction: low price sells lots and lots of books. inherently different products, with inherently different appeal. experiments that raise the price or lower the price of the book. you need to give a new price a month to see what effect it has. all of this is extremely intuitive. none of it is surprising, at all. it’s obviously unwise to shield your eyes from the obvious facts. i’ll be writing it up in a blog post soon. admit that authors can often make more money at the $.99 price. as they sell at the $2.99 price. but the fact is that they often do so. the same for them as it was for you: nothing. they _will_ come at you. Thanks, bowerbird, I’ll look forward to your blog post. And I’ll certainly be writing about my own experiments in e-book pricing. Great post! Going off of Joanna’s point, I find that in my case, at least, nonfiction takes much more time and energy per word. Just in terms of the research I have to do, and the energy it takes to organize all the knowledge. Whereas for my fiction, I just sit down and start typing. So it’s not obvious for me whether fiction or nonfiction would be more profitable if we look at dollars per hour of work. Yes, a whole new consideration. Most writers would probably be horrified by a real “dollars-earned-per-hour-worked” calculation, and of course individuals vary a lot in how much revision they do on different kinds of writing. On my side, I can produce nonfiction quite a bit faster than fiction, which I write but haven’t published. But the research part is a very real factor, so thanks for that. This is really interesting – but I don’t think you can quite use the averages in the way that you do. In the non-fiction example, 7 of the 10 books listed are priced within $2 of the calculated average. But in the fiction example, only 2 of them are within $2 of the calculated average! Even though you can calculate an average from any list of numbers, the result is not necessarily meaningful. Rather than giving any meaningful “average price” for fiction books, what these numbers tell me is that non-fiction books seem to be settling towards a price point of around $10, whereas fiction book pricing is still all over the place: people are still experimenting with the price for fiction. Interesting that the only author who has two titles on the fiction top-ten list has some of the most expensive prices ($7.99 and $12.99). So he obviously has some sort of following, and that ~$10 price point is working for him. Because of the wide range in fiction prices in the top-ten list, I think you’d need to average quite a few more book prices to get an average that is meaningful. But this is still very very interesting. From everything I had heard before, it sounded like the price that works for ebooks was below $2.99 (or even $0.99). But you are showing us that the market will support higher ebook prices… very interesting! Thank you for sharing! Jacqueline, of course you are quite right that my averaging of ten books doesn’t really produce very meaningful statistics, but there is useful data in there. But I wonder how much the marketing muscle of large publishers is responsible for pushing the nonfiction price to $10, when we’ve heard from many authors (some here) that fiction needs to be much, much lower. All interesting food for thought, especially when you’re sitting looking at the input box, about to publish that Kindle book, and deciding what price to put in there. Thanks for your thoughtful contribution. I think Vincent makes a great point about varying your pricing to get more interest in your overall catalog. The experiments are all interesting and really highlight the fact that you’re in control of your own marketing. This week I’m going to publish four short stories via Kindle (some previously published in pro magazines) for free, but I’m going to add bonus content including sneak previews of two full-length (over 350-page) novels I’ll be publishing next month, along with links to my blogs and Twitter. My hope is that people will get a taste of my writing style and I’ll start generating some buzz and get people watching out for the novels, which I plan to price initially at $2.99. But it’s great to know that I can change pricing any time to see how it affects traffic. Keri, that’s really interesting. I’ve been researching publishing short works on Kindle and the opportunity looks terrific. And as I mentioned to Vincent, this whole idea of building your readership with inexpensive or free books that introduce readers to your style and genre just makes lots of sense. Like to hear how it works out. Wow, that’s a fantastic result, Vincent, and more evidence for the aggressive pricing of fiction (Vincent writes thrillers). Thanks for the inside info. 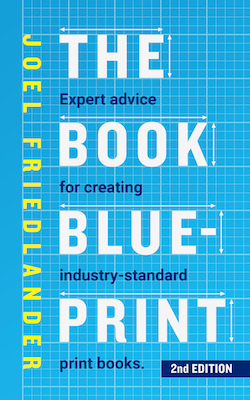 There is so much to consider when pricing your non-fiction book. I have my non-fiction book, The Moonlighter’s Guide to Online Writing For Immediate Income priced at $2.99 per Mr. Konrath’s suggestion in his guide. It’s been out there less than a month and doing well with little promotion. The truth is even if Mr. Konrath had broken even financially with his $2.99 to .99 price drop he still wins via future sales from new people added to his market. It’s all good, as they say in the Caribbean. Good luck with your book! Hey, Connie, I think we’re all trying to figure this out. And the “loss leader” idea is certainly being used by lots of writers, but it does seem to work best for the novelists with a series (like Joanna talked about in the first comment above). Thanks for the input! I started in January of this year with each of my Kindle editions at $9.99. The print versions each have a list price of $13.95. On April 1, I reduced the prices on my Kindle books to either $2.99 or $3.99 as an experiment. Thus far, it’s been exactly revenue-neutral. The increase in volume has been just enough to offset the lower margin per book. However, my Kindle books are slowly climbing the “also bought” lists of other similar books. So I think by May or June it may end up having resulted in increased revenue–though probably not by a whole heck of a lot. Interesting, Mike, I’d love to hear how that works out for you as the year progresses. Will the e-books overtake your p-books as revenue generators? That seems to be the case for novels, like to see how it works out for your investing books. At this point, the gap between my print and kindle sales is still quite large. Even with the climb in “also bought” rankings that has begun (as well as the soon-to-be-released epub versions, which may add a bit via Nook/iBooks sales), I doubt my ebook sales will be overtaking print sales anytime soon. Self-pubbers should also consider cover price vs. actual selling price. Booksellers may offer discounts on eBooks just as they do on pBooks. Self-pubbers can’t control the selling price, but may benefit when a bookseller drops the price. With bookselling, there is a pleasant variation of the “vicious cycle” and it works in opposition to the traditional law of supply and demand. When demand for a book increases (and with eBooks there is infinite supply), the price may drop, which further increases demand… which may lead to a lower price, and more demand. I’ve released most of my books as PDFs but until recently I resisted Kindling because I hate how flowable text destroys the look of the book. Nevertheless, I can’t ignore the huge change in reading, and potential income, and last month I had my “Stories I’d Tell My Children (but maybe not until they’re adults) issued in both EPUB and Kindle editions. The paperback has a $15.95 cover price and I initially planned to price the eBooks at $8.99. At the last minute I changed the price to $4.99, figuring that anyone who had heard of the book and is remotely interested would pay that price. Apparently it sold well, because after about a week, Amazon began discounting it to $3.89 (not much higher than the magic $2.99 price point), and sales began to climb. Even though Amazon keeps less money on each book sold, I make the same as at $4.99. And because of the lower selling price, I sell more units and make more money. I hope you’ll keep us updated on how your e-publishing compares to your p-publishing as you get more data from your sales, Michael. Thank you for this information. I am just getting started and working with a publisher who will then print our books. She is going to be offering as paperback and e book. She will be paying us a royalty. The book is my life story. She has suggested a paperback price of between $16.95 and $19.95. She has suggested an Ebook of $5.99 which sounded low to me. I want to make sure her goal is the same as mine which is to realize a profit. She may have more interest in accumulating customers to help spur her sales of other books. Any thoughts? Thank you in advance for your insight. Shelly: Unless you are famous, lucky, work very hard, or all of the above, it’s very hard to sell lots of memoirs. My last name is not Kennedy, Cain, Palin or Obama, but somehow my mostly-funny memoir has been selling about 150 copies per month. It has good word-of-mouth and great reviews, and I do a lot of promoting. The prices you mention seem much too high for an unknown’s memoir. Ted Kennedy’s “True Compass” is available for less than $6. How will you compete with that? My ebook has a $4.99 cover price, the paperback $15.95 and the hardcover $18.95 (artificially low). Each month, I make much more money from the ebook, but all formats sell. I actually disagree with that – mainly because of the way fiction and non-fiction authors generally write. Yes, there are some prolific non-fiction writers who put out a lot of books but most focus on one niche and mine it to death so don’t have too many different books to sell. So a non-fiction author has a few books whereas a fiction author can write stories forever and be endlessly creative, writing under different names in different genres if they like. This means authors like Dean Wesley Smith who has hundreds of books can make more money than a non fiction author purely by the number of books he has out there. Konrath also goes into this – the bestselling fiction Kindle authors have a lot of books available. Plus, I think the sales volume for fiction is much higher than non-fiction. People are devouring fiction and lapping up the cheaper prices (myself included!) My husband and I are feasting on primarily fiction for the first time in years because the prices allow it. We end up buying whole series by Kindle fiction authors, but that doesn’t happen with non-fiction. Personally, I am going to aim for brilliantly entertaining fiction books – and aim for volume at lower prices which keeps the readers, and me, happy! Thanks for your informative comment. And yes, over a series of books, fiction has a tremendous sales potential. I guess what I was trying to say was related more to writers who only have one book or two books at the most, since this seems to be the majority of self-publishers. And my suspicion that it’s much harder to get to those big sales numbers with a novel than it is to achieve long-lasting sales, even if incrementally smaller, with a good “how-to” or other nonfiction book. But I have to admit, when I used to read series (like Robert Parker’s Spenser books, for instance) I would just plow through them, one after another, and that’s not something you generally do with nonfiction. There’s a fellow in Vancouver here advocating non fiction on kindle. He makes about 10k PER month from Kindle. It’s impressive, but personally not at all what I am interested in. STILL, the stats are impressive. PS: I am in NO WAY advocating this product or website in ANY way. I just used to know the fellow and am impressed by the number. And the crazy new penthouse he moved into. Not sure I can imagine making that much cash.